In 2018, the negotiation process for the European Union’s post-2020 climate and energy framework is coming to an end. The discussion had recognised geothermal as a relevant energy source for the future of Europe. This year, EGEC celebrates its 20 years of activity. 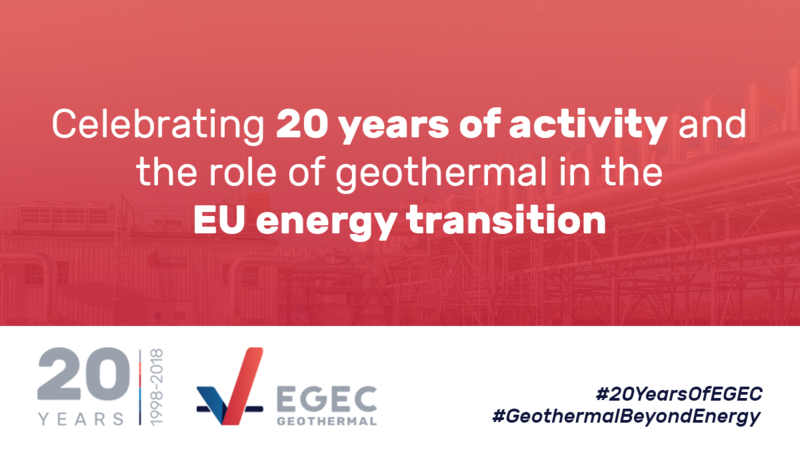 To mark the occasion, EGEC publishes a new declaration where we highlight the contribution of geothermal to the energy transition and the decarbonisation of the European economy.